A rare beast, printed by the Figaro Press SW6 perhaps first in 1954, with an introduction by the then Seven-Fifty Club General Secretary Colin Peck. 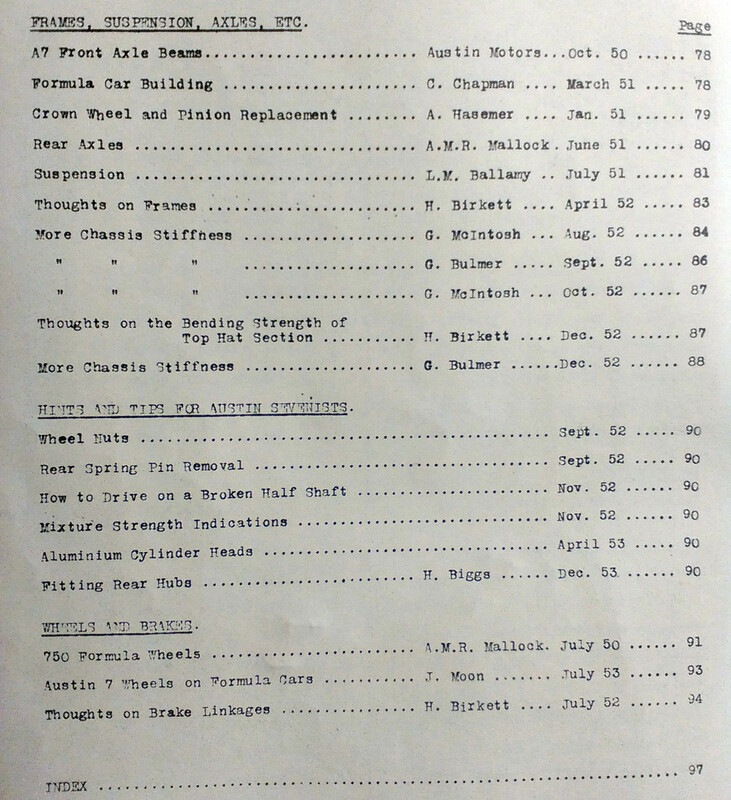 It brought together all the Technical articles from 1949-1953 by the likes of Holland Birkett, Jack French, A.M.R. Mallock and L. M. Ballamy; just under 100 pages neatly and simply bound in plain light blue paper cover. 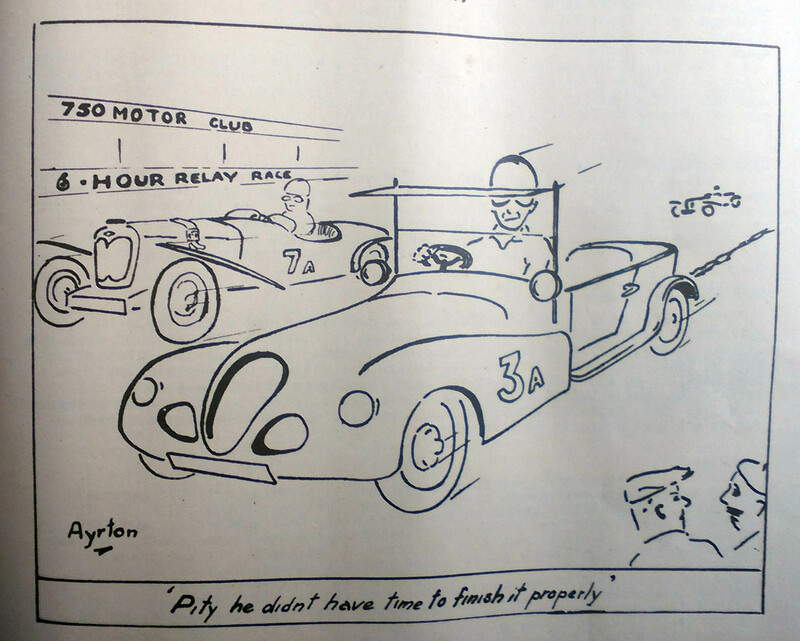 A few period cartoons – what’s not to like? Sadly, quite rare now. 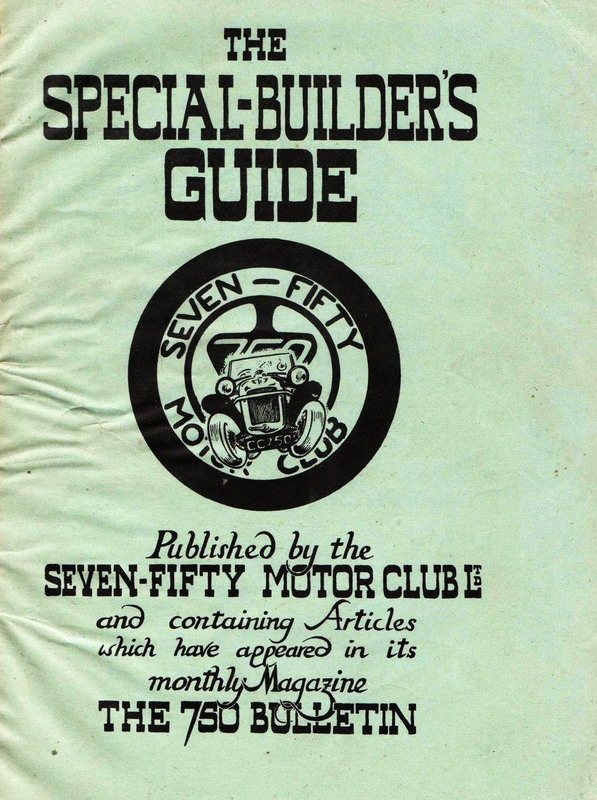 My much read copy of this paper covered ‘Special Builders Guide’ has no date but the introduction is by Ken Welfare, General Secretary of the Seven-Fifty-Motor Club, published by the Limited Club, 56 Harrow Road, Bedfont, Middlesex. Checking ABE Booksearch reveals later (1960? ) editions with a green paper cover featuring a line drawing of a Chummy, and mention of a similar hard cover second edition. 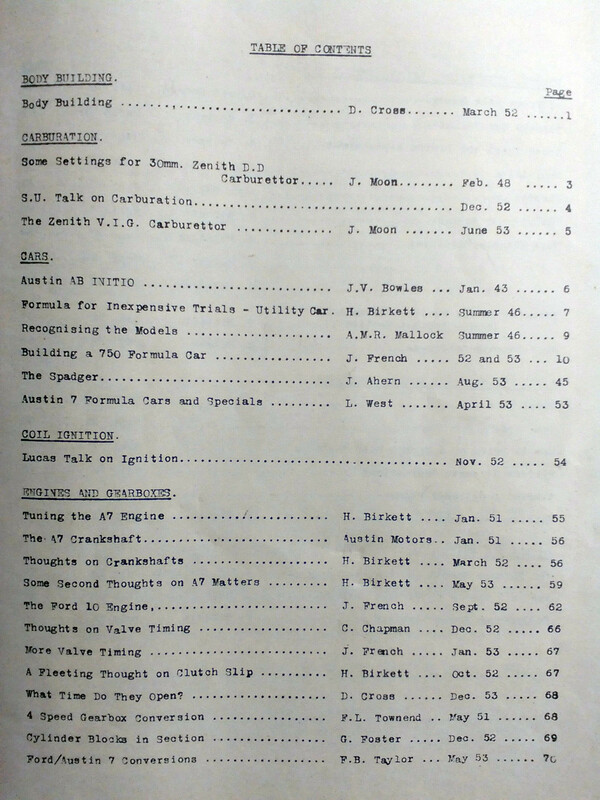 This book was replaced by the ‘Austin Seven Companion’ in 1980 – my heavily used copy is the 11th impression 2006.